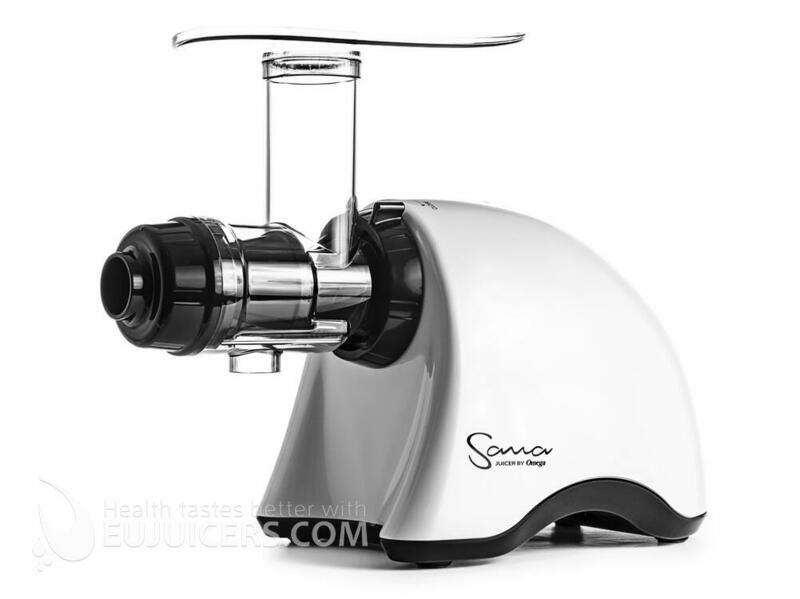 The Sana EUJ-707 juicer is a single auger juicer equipped with a powerful motor to thoroughly chew up plant fibers to fully extract vitamins, enzymes, and minerals from fruits, vegetables and wheatgrass. The unit's dual-stage juicing system ensures maximum efficiency, while its low rotation speed of 70 RPM means no foaming like with centrifugal juicers, no clogging, and no heat build-up. 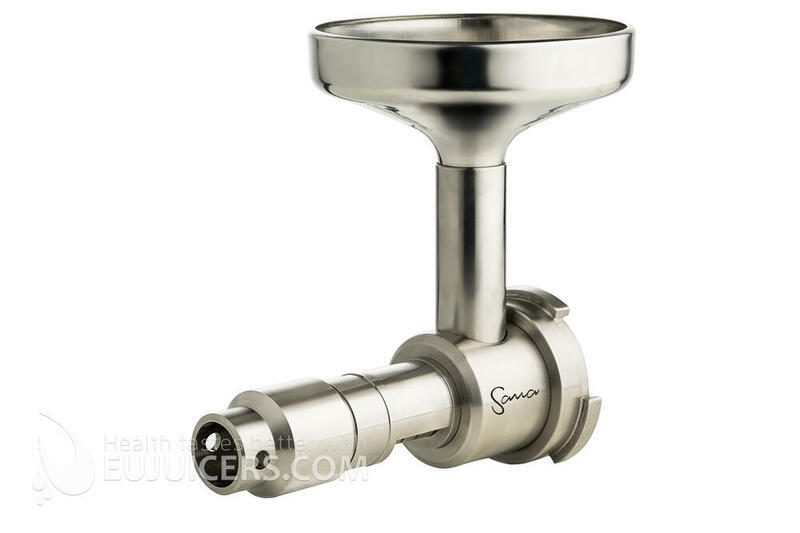 Other highlights include a high juice yield with very dry pulp, bigger feeding tube, new timeless design, four stabilizing feet, and quiet operation. The EUJ-707 is not just for juicing only; it easily turns nuts into nut butter, extrudes pasta, grinds coffee and spices, minces herbs and garlic, makes baby food, ice cream, and whips up soy milk in a flash. 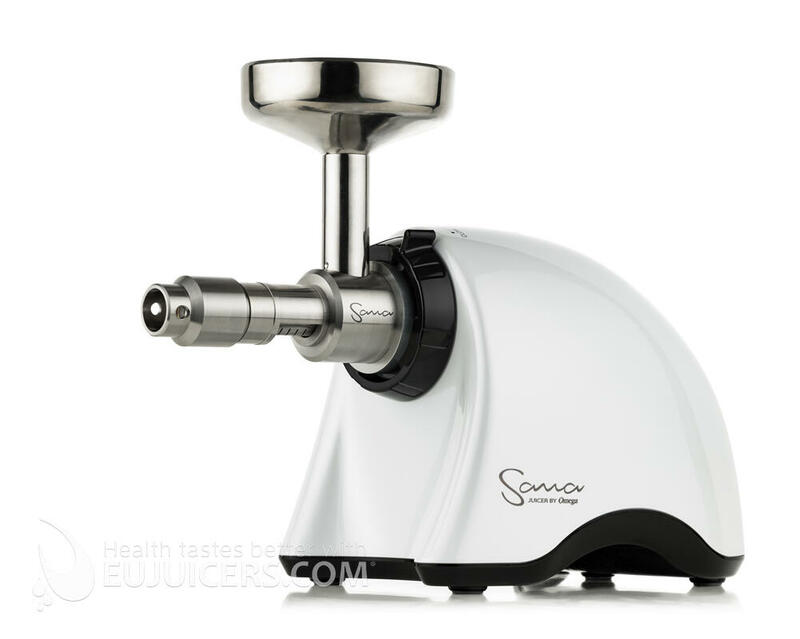 Use the Sana 707 to make delicious healthy drinks and snacks everyone will love. Included with the EUJ-707 are a fine and coarse juicing screen for different types of produce, a blank screen for food processing, a glass juice container, a stainless steel pulp container, a set of nozzles for pasta and sorbet, a produce pusher with integrated silicone ring, and a cleaning brush. 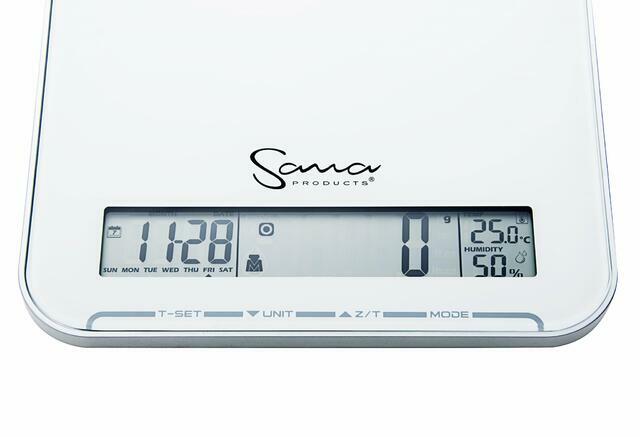 The Sana EUJ-702 oil extractor allows you to make cold-pressed oil at home from the following seeds and nuts: flax, sesame, sunflower, pumpkin, rapeseed, hemp, poppy, rapeseed, evening primrose, black cumin, coconut (dehydrated shreds), almonds, pine nuts, walnuts, hazelnuts, peanuts, cashews, Brazil nuts, pistachios, and macadamia nuts. It can even make oatmeal flakes from oats. Included with the EUJ-702 are a glass oil pitcher and stainless steel strainer, as well as a protective glove and metal pin to make removing the pressing cap fast and simple. All parts that come into contact with the oil are made from durable stainless steel. It has a warranty of 2 years on the auger and regulating rings and 5 years on all other parts. The Sana Oil Extractor Set is the easiest way to get into home oil extracting. 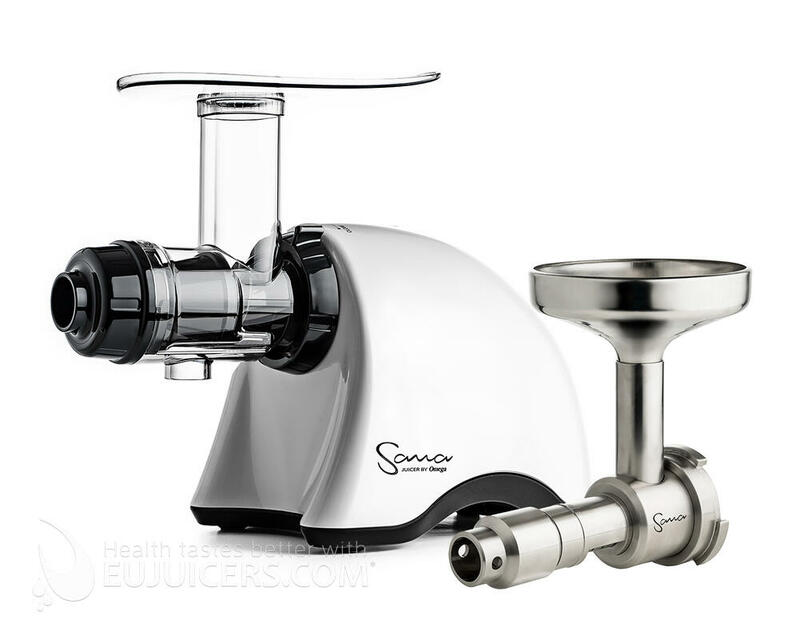 This set combines our powerful Sana EUJ-707 multi-purpose horizontal juicer with our new Sana EUJ-702 oil extractor attachment in one package at an attractive price. No hay críticas de este producto. Sea el primero en escribir una crítica. Su correo electrónico solo se usará para verificar su comentario. Su dirección no aparecerá en la página web. Báscula digital con un elegante diseño.